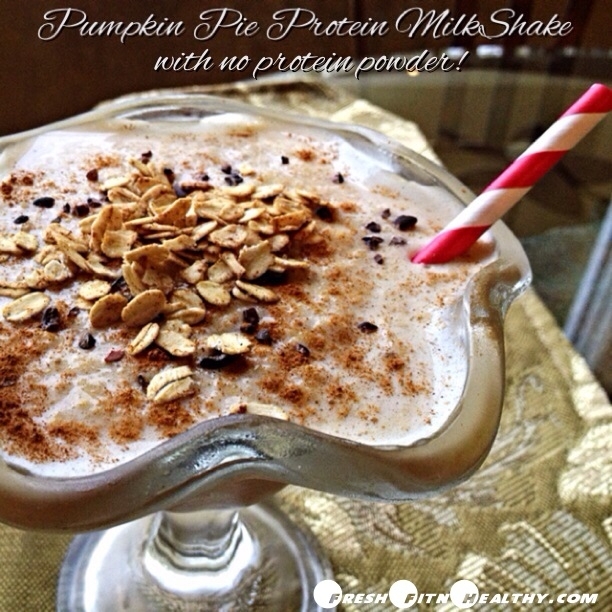 A higher protein shake without protein powder, yet still as delicious as a milkshake to satisfy that dessert craving! Directions: Blend all ingredients in blender until smooth. *Optional "Crumble" topping: mix 2T rolled oats with 1/2 tsp coconut oil, and a sprinkle of cinnamon and sea salt. Sprinkle on top of shake.